Porter Wright is pleased to welcome Marve Ann M. Alaimo as a partner of the firm. 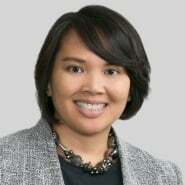 Marve Ann joins the firm’s Estate Planning / Wealth Preservation group and centers her practice on wills, trust administration, guardianship and estate planning in the Naples office. She understands that often family dynamics can create additional—and often unnecessary complications—in the estate planning process, and uses a collaborative approach when working with her clients- whether they be traditional or blended families, or those with special needs or tax circumstances. “Marve Ann’s collaborative approach is not only a great addition to Naples team, it will only better serve our valued clients. We are delighted to welcome her to the firm,” said Jeff Cecil, partner-in-charge of the firm’s Naples office. Marve Ann is a Florida Bar Board Certified Wills, Trusts and Estates lawyer and she has served as a Florida Supreme Court Certified Circuit Civil Mediator. In addition to representing private clients, she has also represented local, regional and national charities, nonprofits, and both private and public universities in shepherding their charitable gifts. Before joining Porter Wright, she was a Principal at a national estate planning firm. She graduated from the University of Florida with a B.S. with honors in Business Administration and holds a J.D. from the University of Florida College of Law, with honors, and an LL.M. in Estate Planning from University of Miami School of Law, with highest honors.